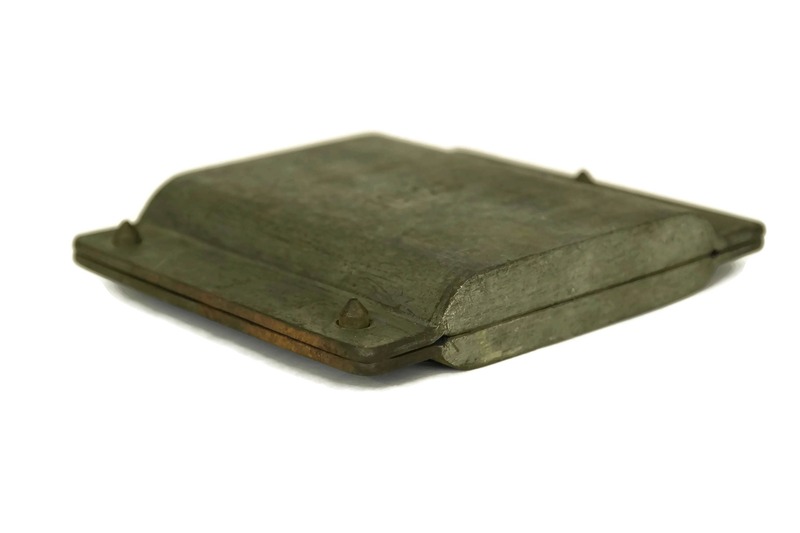 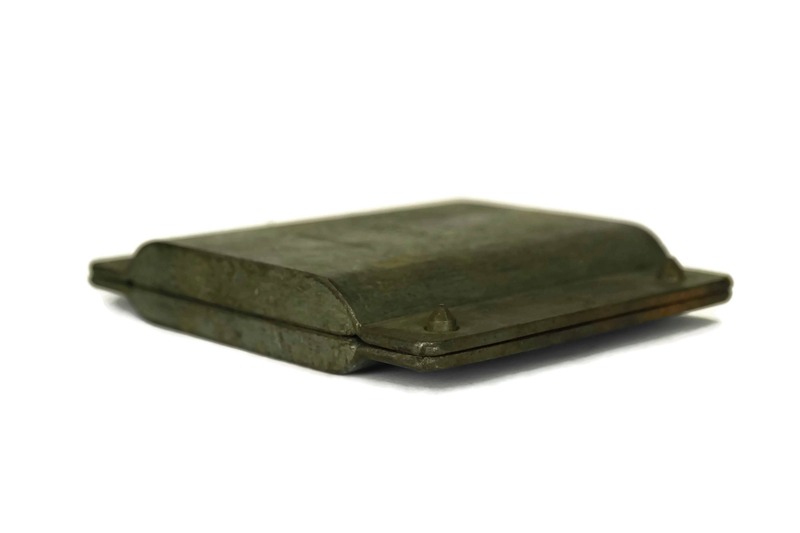 A rare French antique chocolate mold dating to the late 19th century. 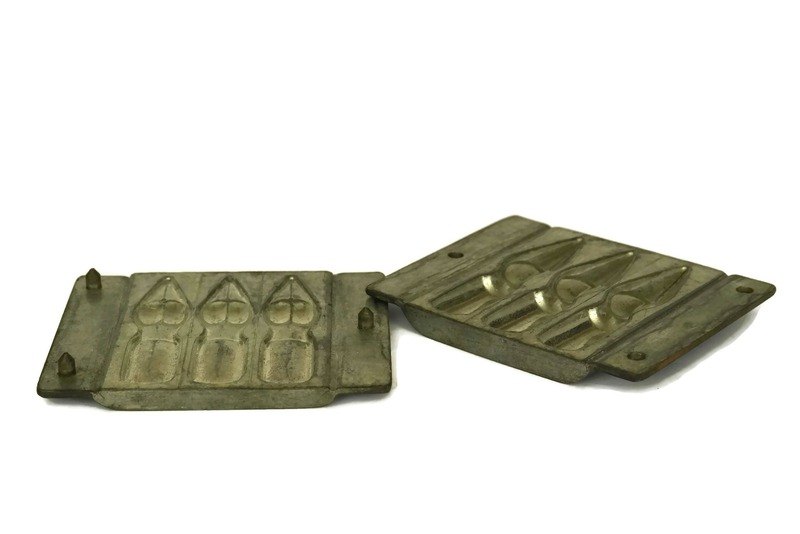 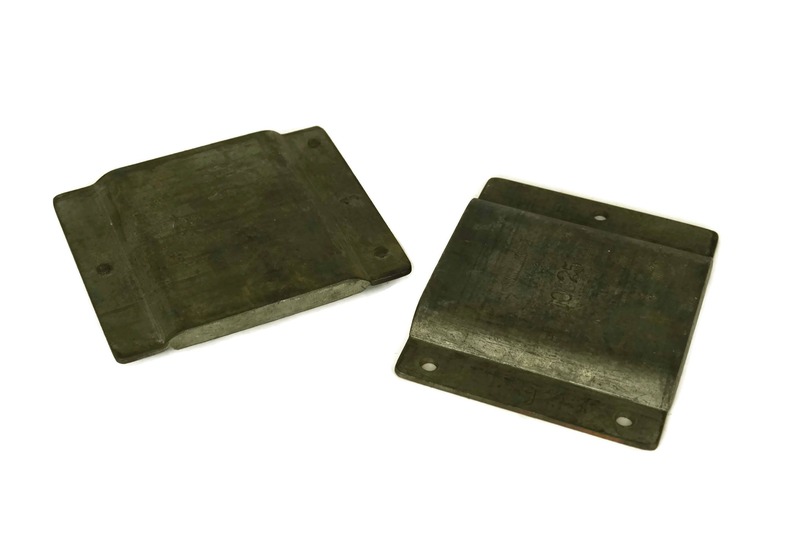 The chocolate mould has been cast from platinol by Anton Reiche GmbH (Dresden) who was then the leading manufacturer of nickel-coated metal moulds. 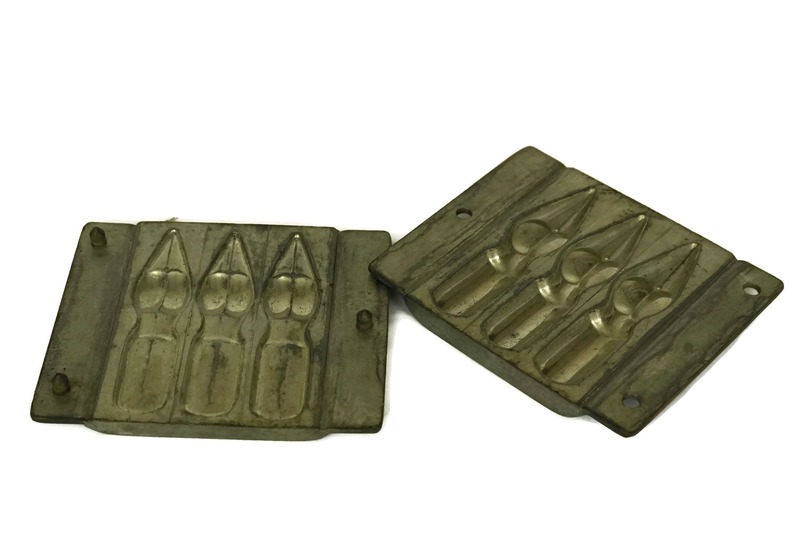 The tray features two parts to create 3 antique fountain pen nibs from chocolate. 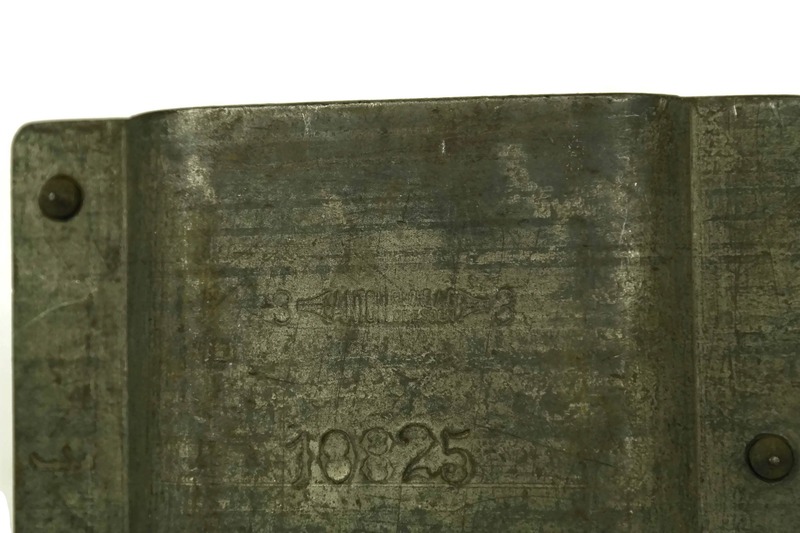 It has been stamped with the manufacturer's mark and the pattern number 10825. 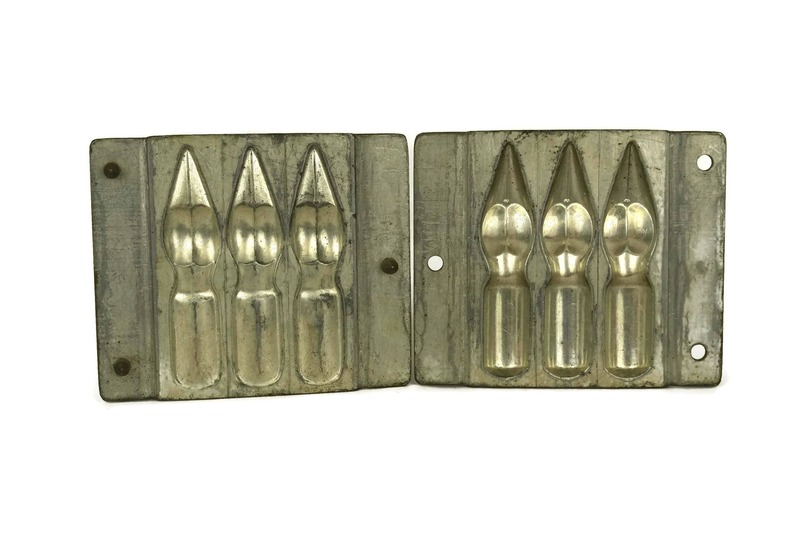 It would make a great accent to your Easter decor or your rustic kitchen. 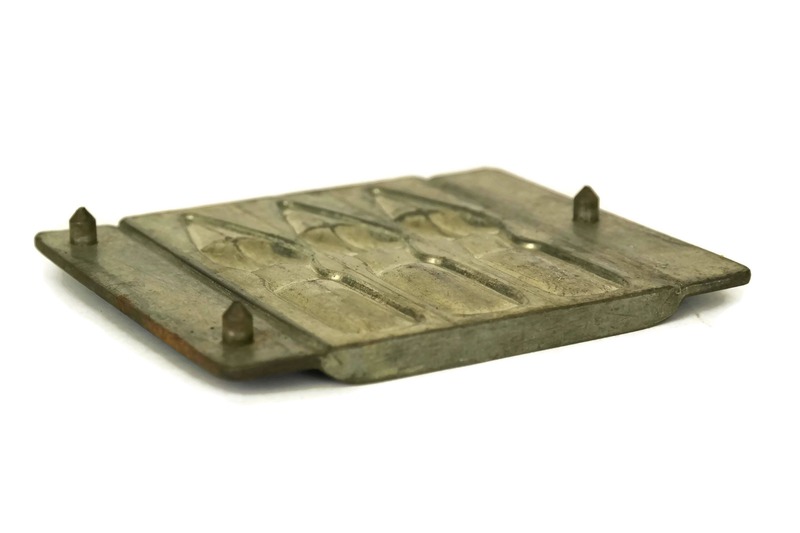 The tray is 5 1/2" Long, 4 1/2" Wide, 1" Tall (14 cm x 11,5 cm x 2,5 cm). 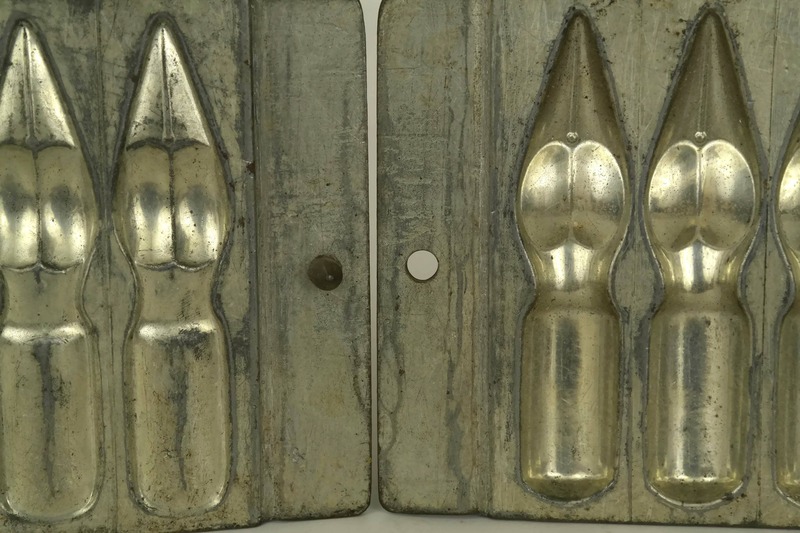 Each pen nib mold is 4" Long and 1" Wide (10 cm x 2,5 cm). 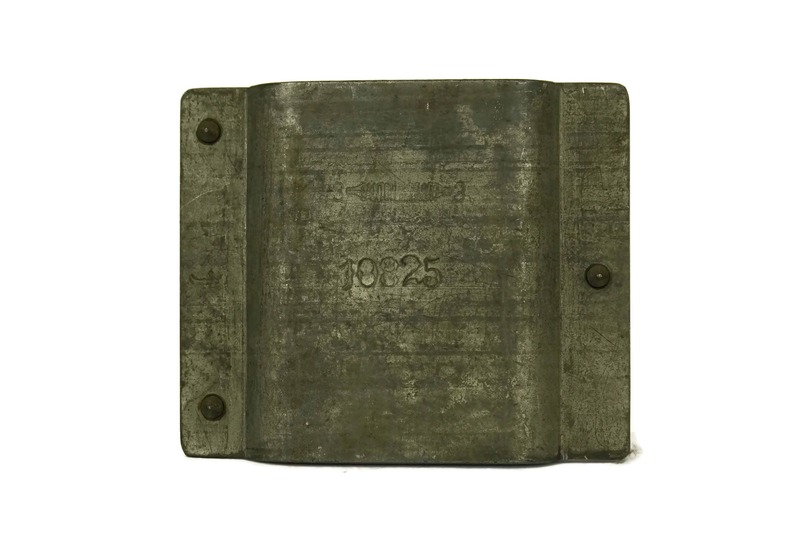 The candy mould is in very good antique condition with some signs of age including patina, surface marks and scratches.